QN 16 - Keith clocks up 60 Years!! 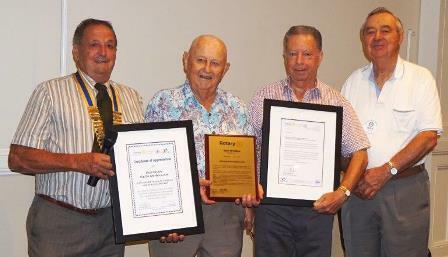 This would make him one of the longest serving Rotary volunteers in Australia. He joined Rotary aged 32 following in his father’s footsteps, who joined a few years earlier. And 8 years later he became president in 1965. Among the awards are an appreciation award for his 60-years of service to the District and a Paul Harris Fellow recognition. Great work Keith, and thank you again on behalf of all District Rotarians, and Rotary International, for Serving Humanity over all those years - you provide a great model of service to us all.